Rhonda Pelikan moved to Seattle in the 1980s to study graphic design, and quickly fell in love with all aspects of the local music scene. She knew that she wanted to join a band, and that she wanted to make posters to staple all over utility polls in the city. That dream came true when she was invited to join the Crypt Kicker 5 in 1986 as their second guitarist and vocalist with Chip Doring, Jaime Caffery (Shehata), and eventual drummer Jack Endino. Her connections through music and design eventually led her to Daniel House, who hired her as the in-house designer at his indie record label, C/Z Records. “I got to meet and work with some amazing musicians and promoters, including the inspiring Gretta Harley,” said Pelikan. After leaving C/Z, she was a freelance designer until 2000, and then took the position of art director at Rick Steves Europe where she is today. 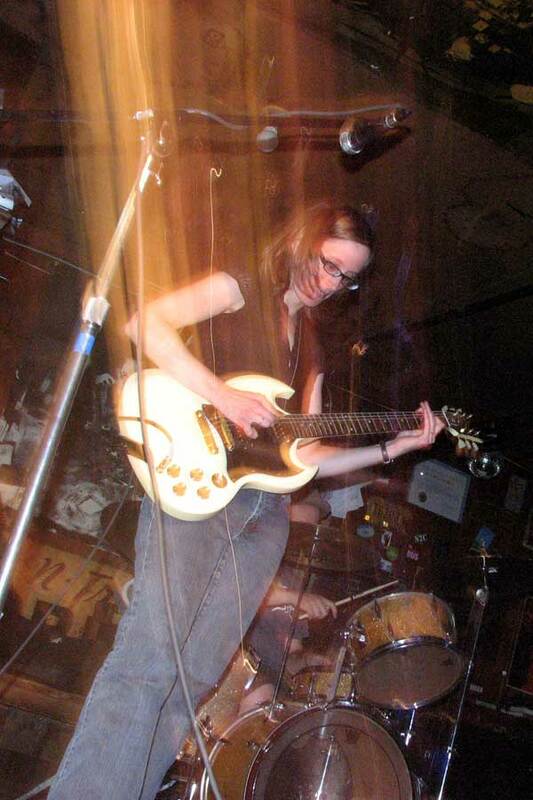 She occasionally plays music with her band Mighty Shiny, with drummer Greg Flint and her husband, Neil Smith.